Today, Archie reached a bit deeper into the more immediate future of Archie’s Action line, announcing the entire line, including Sonic, Sonic Universe, and Mega Man showcase special After the Credits storylines. 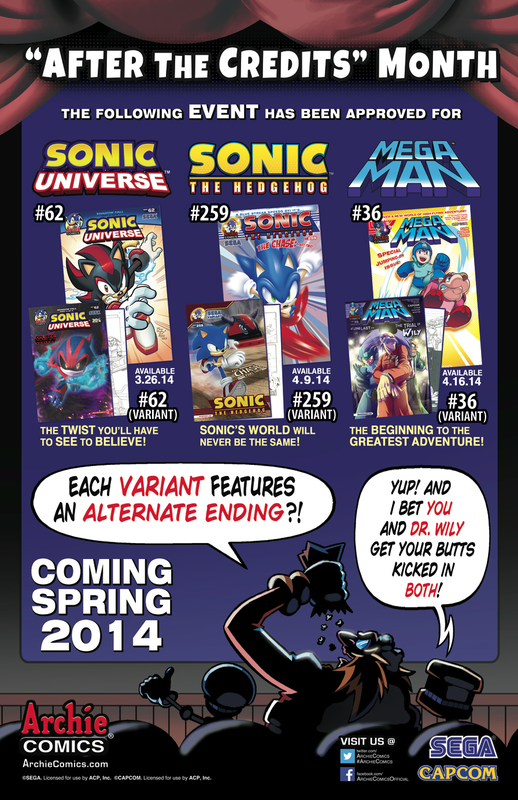 The campaign will begin with Sonic Universe #62, which will be released in late March. The hook for After the Credits is that each variant edition will also come with a variant ending, according to Comics Alliance. The main Sonic issue 259 and Mega Man #36 will also receive similar treatment, both in print and digitally.